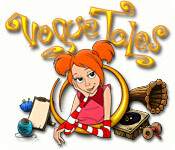 Vogue Tales is rated 3.9 out of 5 by 8. Rated 5 out of 5 by sandramorgan from Fun, Fun, and more fun amazing Time Management game. I love this game. BIG FAN OF TM GAMES. If you like this kind of game it is like Lays Potato Chips once you start playing, you will not want to stop. Almost finished it in one day, my hand gave out on me. Try it . I didn't like the button that they add to give the dresses special designs slowed my process quite a bit. Over all great game. Rated 5 out of 5 by kinga76 from Charming and Challenging I'm not going to go into gameplay detail as the other reviewers have done that very well, but I will say this game is delightful. And that's not something you can say of many games these days. The graphics are gorgeously hand-drawn, it has a period setting and there are no headless zombies hiding in the closet (quite rare, I know). Yes, the storyline is wacky and the main character does come out with some crazy (and grammatically incorrect) lines but that doesn't really detract from the overall enjoyment for me. It's also got the perfect level of challenge for me; hard enough to keep you on your toes but easy enough to get "perfect" if you concentrate. Please please please make more such games - I know they're probably not going to gross as much money as the vampire chicken fetuses but they are dearly loved by those who appreciate beautiful art and charming entertainment! Rated 4 out of 5 by purplecapricorn5 from Good Game I enjoyed the game, it was fun and you don't have to think about it too hard. Paying attention to the orders that come in help, though. :-) All in all I was satisfied, but it would have been nice if the game was a longer. Rated 4 out of 5 by Joreboji from I liked it! I actually had to look at the title of the game again to be sure I was going to review the right game after reading the other 2 reviews I saw as they didn't seem to resemble the game I have at all. The "star" of the game is a young girl who is a seamstress with some magical devices as well as qualities. 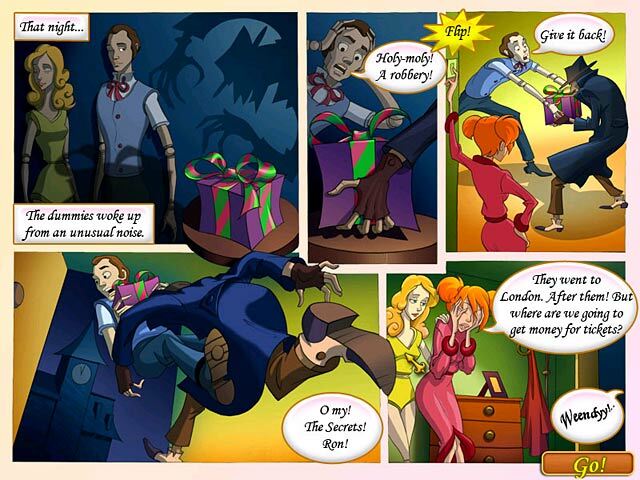 A present from her grandmother is stolen and she sets off to find the present. She has 2 mannequins who are key figures in the game also. They get stolen (story line sort of breaks down here as I am still not sure by who or why), as well and she travels to find them. The graphics and music are good in this game. She has to make money so she sews clothes for people who come to her different shops. Things in the different shops get upgraded by you as you go along. 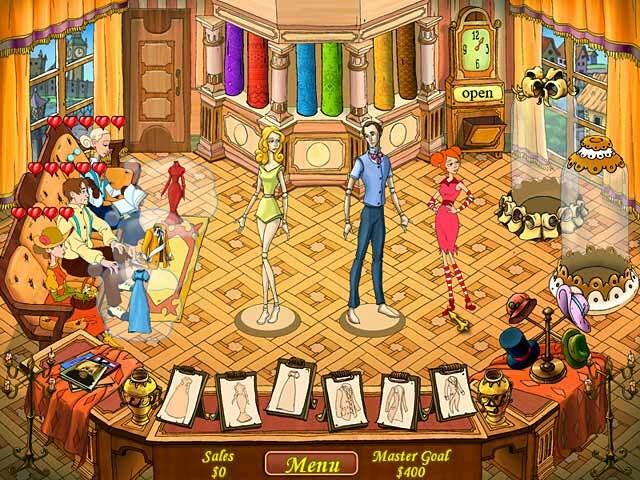 As the game progresses you have more and more clients and the magic devices that you acquire from the attic provide things to add to your clothing, such as sashes, lace, ribbons, etc. I thought her sense of humor in the things she says at times was amusing; the inventions she acquires were very different and quite in keeping with the story. By the time you get to the end, trying to keep up with all of her customers, the additions they want to their clothing, and their temperaments (some of them are VERY impatient and will walk out if you don't cater to them) provides a challenge. I have played this game over and over and still enjoy it. I would advise you to play the free trial and make up your own mind about this one. Rated 4 out of 5 by Gamer_Girlie from Not bad The art style won me over. 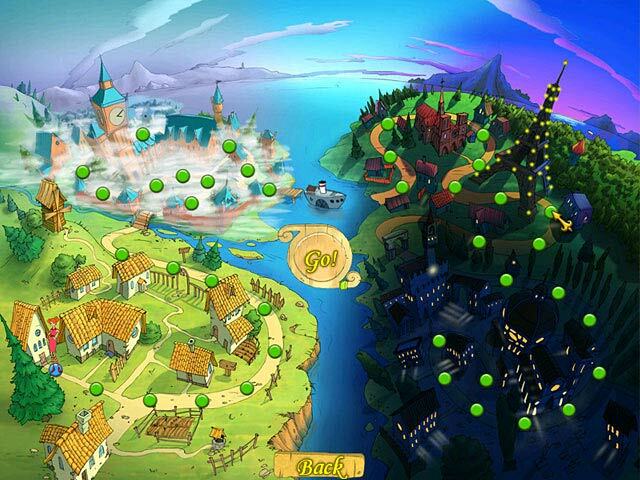 The game's ok for a time-management style. I found it to be fairly challenging at first but after a few levels you get the hang of it. It's not something you could play for hours, as it doesn't have much variety; but it is something to keep you or your young ones entertained for an hour or two. Rated 3 out of 5 by rxpcgal from Ehh... I got this game because I play almost every single TM game. This one was cute, and basically the same thing, but like another post said, I really didn't have to think much. So I took a star away, since it wasn't that challenging. Now that should mean that I should have gotten expert on every level, but I did not. I actually got distracted by my cell phone ringing, and lost track of where I was. BUT what took the other star off was that after the level was over, there was no option to replay for the expert, nor on the map, I couldn't click a past level to retry. So in order for me to get expert on EVERY level, I had to create a new profile and start from Level 1. But all in all, it's an ok game. Enough to buy straight out, no. Wait til BFG has a sale or if you have a freebie code to use. Rated 2 out of 5 by Nairo from Botched game This game is not very funny nor very long. It is rather linear. You can not really interact. It's a shame, there was potential. Earn money to find a stolen present given to you by your grandmother in this colorful Time Management game.